It’s a few years away from completion, but already you can’t miss the American Indian Cultural Center and Museum (AICCM) at the intersection of Interstates 35 and 40 in Oklahoma City, alongside the Oklahoma River. A massive sculpted Promontory Mound is rising up out of the ground where 57 oil derricks used to stand; seeded with native grasses, it’s an architectural nod to Native mound-building cultures and will contain museum galleries, hands-on learning experiences and film/performance areas. 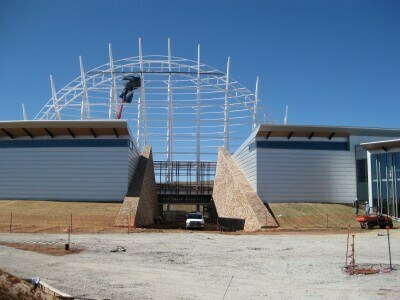 I had a chance to stop by the construction site while driving back from the 140 Characters Conference SmallTown tech event in Kansas – AICCM staff member Debbie Lindsey kindly gave me both an overview of building plans and a sense of tremendous excitement about this amazing facility, which will highlight and honor not only the 39 tribes in Oklahoma, but US native culture as a whole. 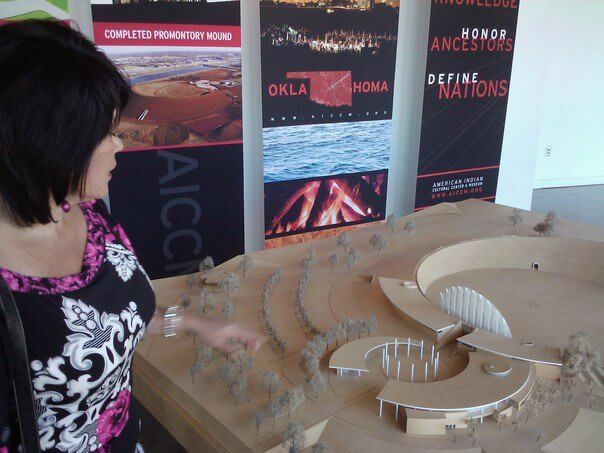 Although the AICCM Visitor’s Center is not yet open to the public, it already supports broadcasts by OklaVision TV productions, which are presented by the Chickasaw Nation and do a really nice job of showing off travel highlights all over Oklahoma. As construction progresses, the AICCM staff is busy with events like next week’s Creativity World Forum and the American Indian Cinema Showcase. Stop by the AICCM Facebook Page or follow AICCM on Twitter for the latest updates. In Wine Country it's all see, smell, sip, and spit.